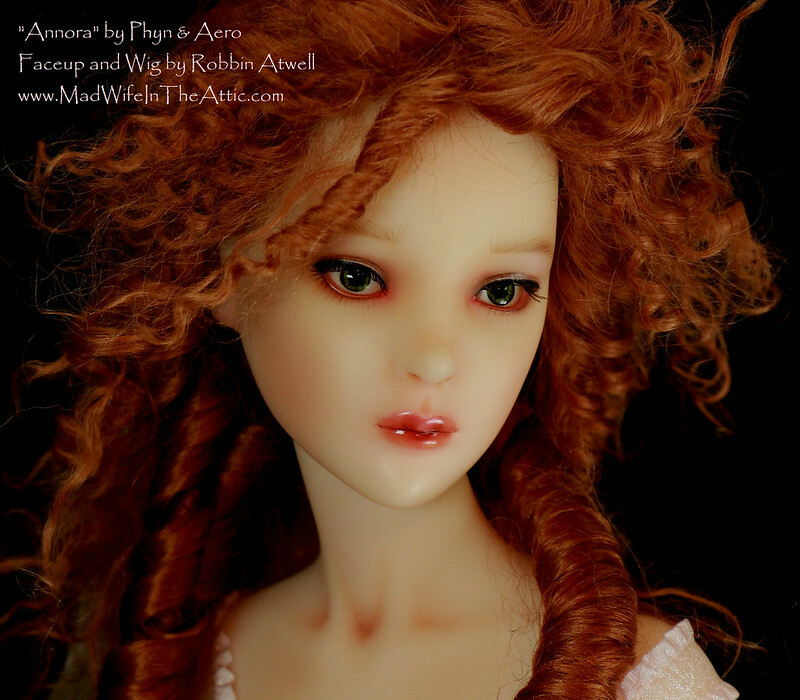 If you’re a fan of period dramas, you’re familiar with the hairstyles called the “hedgehog” or the “coiffure à l’enfant.” The face is framed with a mass of curled or teased hair, and rolls of longer hair trail down the back or fall around the neck. Typically, the hedgehog is a tall bouffant style with ribbons and ornaments to hold it in place, with ringlets at the back. The “coiffure a l’enfant” is similar with shorter curled and teased hair that isn’t piled so high. It’s beautiful with hats and it’s very flattering to youthful heroines. As outrageous as it seems, both are much more practical styles than the huge and constructed styles that preceded them–imagine Marie Antoinette with a ship on her head. 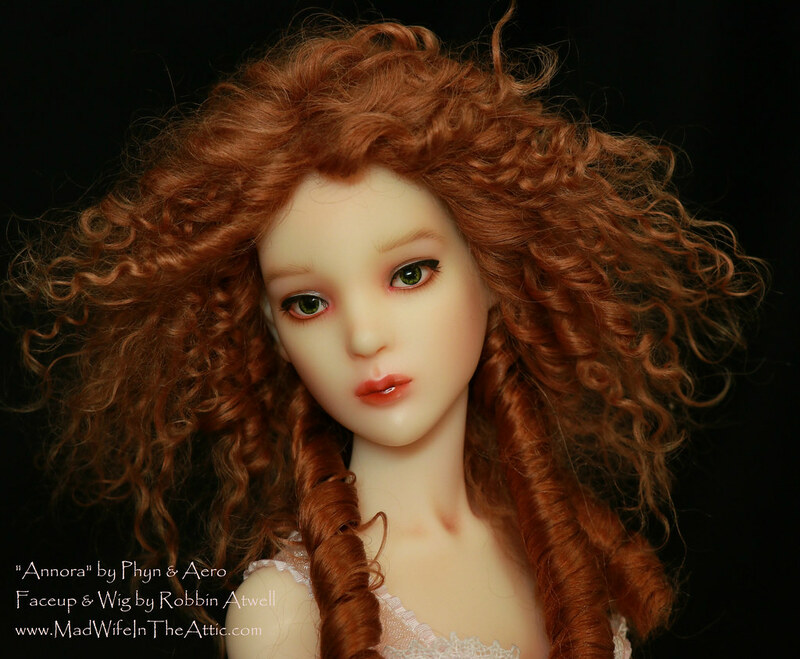 In designing an 18th century style wig for Dorene’s Annora that I painted (see previous post), I sifted through many versions of this style looking for something that would work as a doll wig — and something I could make successfully. Georgiana, the Duchess of Devonshire was the perfect inspiration. I start by covering the head with 2 layers of plastic wrap to protect it. I then stretch a piece of fabric over it and coat that with glue. When dry, I cut the cap to a nice shape for the head. 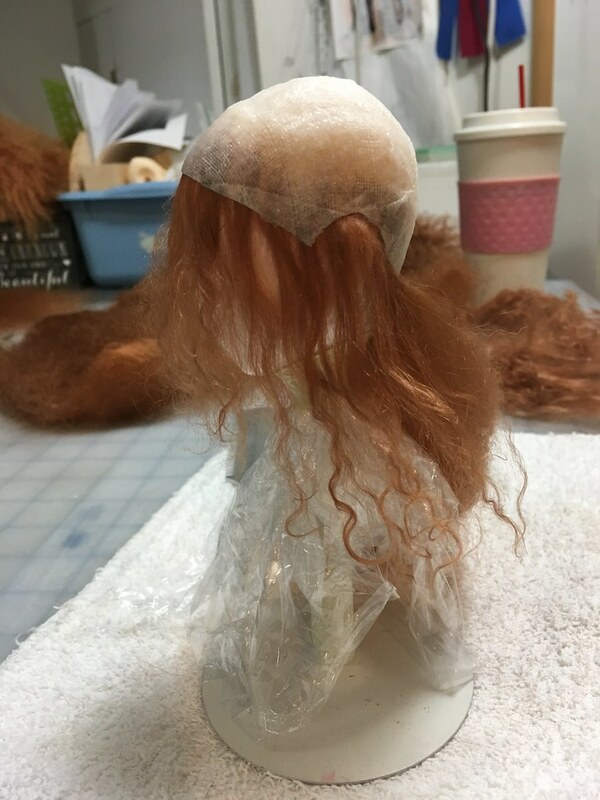 The hard cap wig shell on the doll’s head which is covered in plastic wrap. In this photo, I have applied one row of hair all along the inside of the cap. This is to make sure the hair is nice and full around the face. From here, I’ll glue wisps of hair until the entire cap is covered. This is a very time-consuming process. 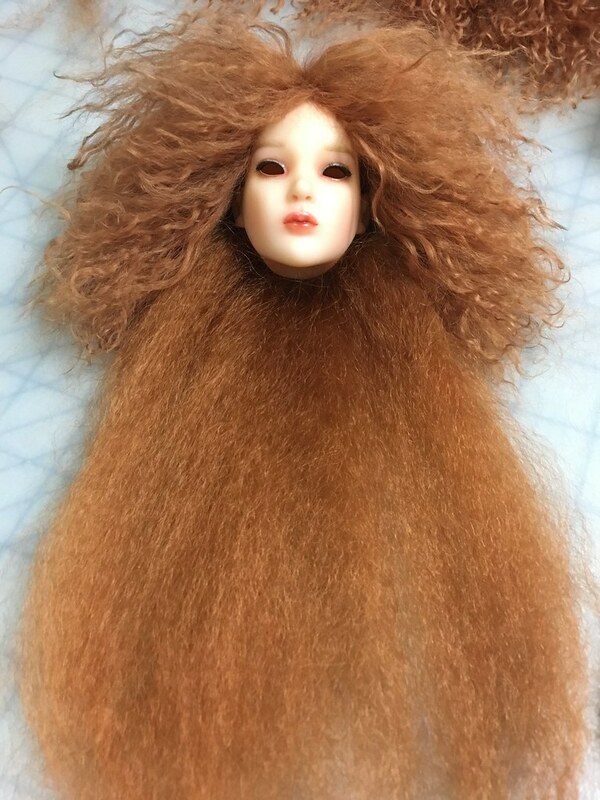 The entire head is covered in hair and it’s ready to be styled. 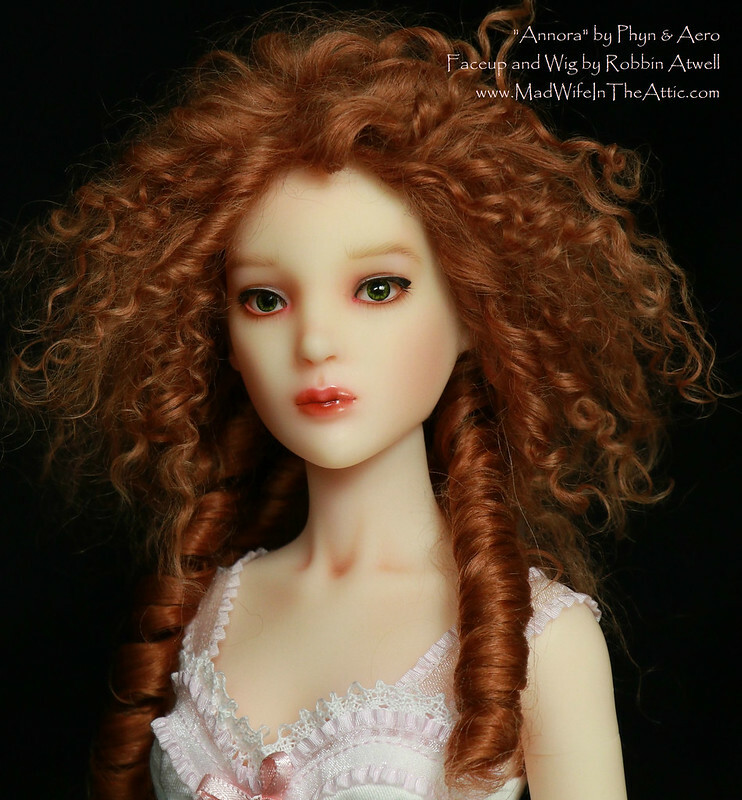 This wig is a bit unusual because of the long ringlets at the back. I have applied Tibetan lamb fleece with a natural curl all over the top of the head. 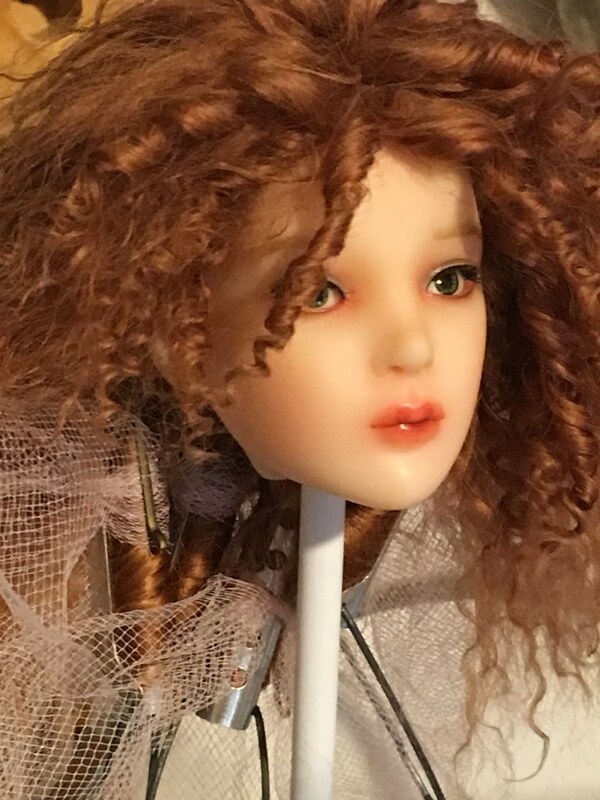 At the nape of the neck, I used very long mohair that is the same color. Now I will curl the hair. The hair is curled with pipe cleaners and small hair rollers. I make rollers out of pipe cleaners and coffee stirrers. 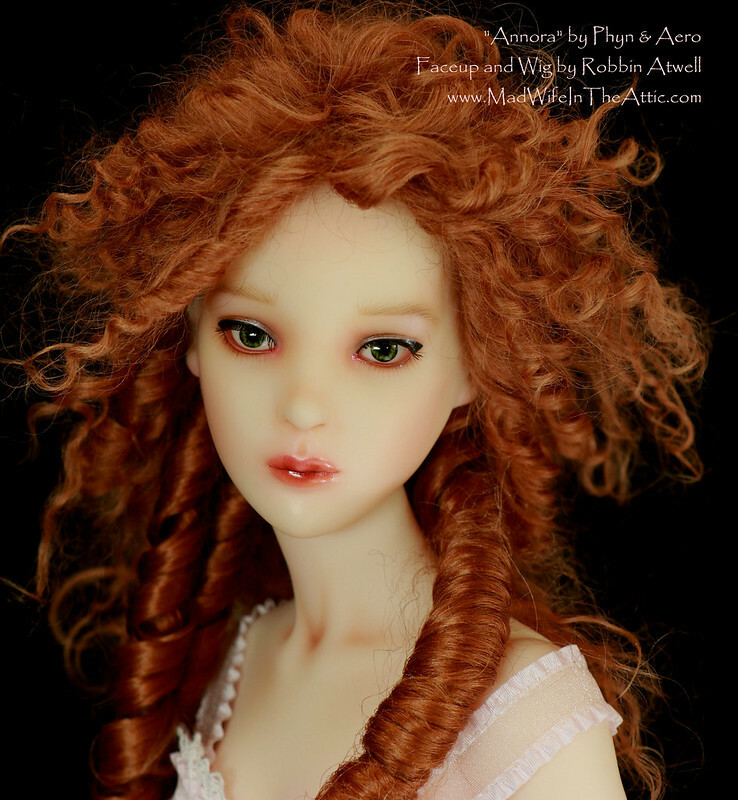 Those are used for the tight ringlets around the face. 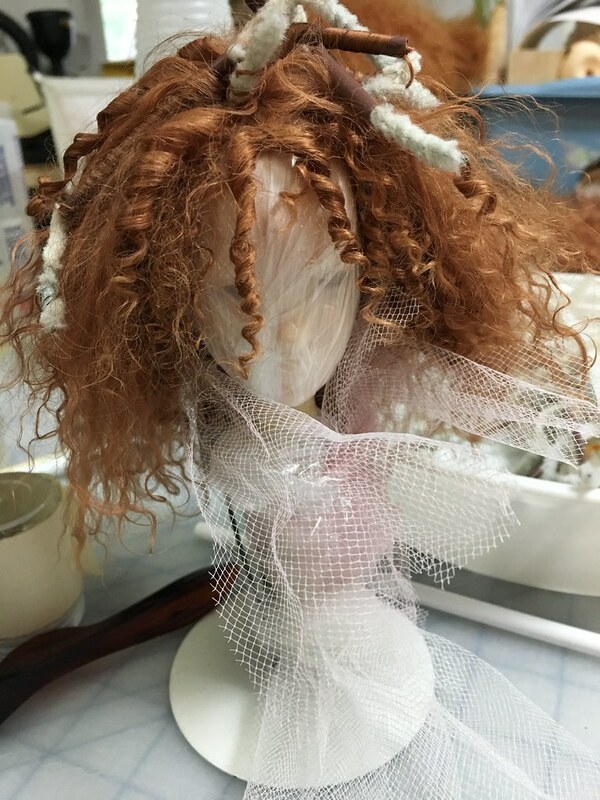 I use tiny rollers or wood dowels for the larger curls. Strips of netting are nice to gently tie the rollers in place while they dry. You can see the rollers for the back ringlets in this photo. Remove the rollers and fluff the curls. Annora with her coiffure à l’enfant. Viola! 23 Jan	This entry was published on January 23, 2018 at 6:12 pm. 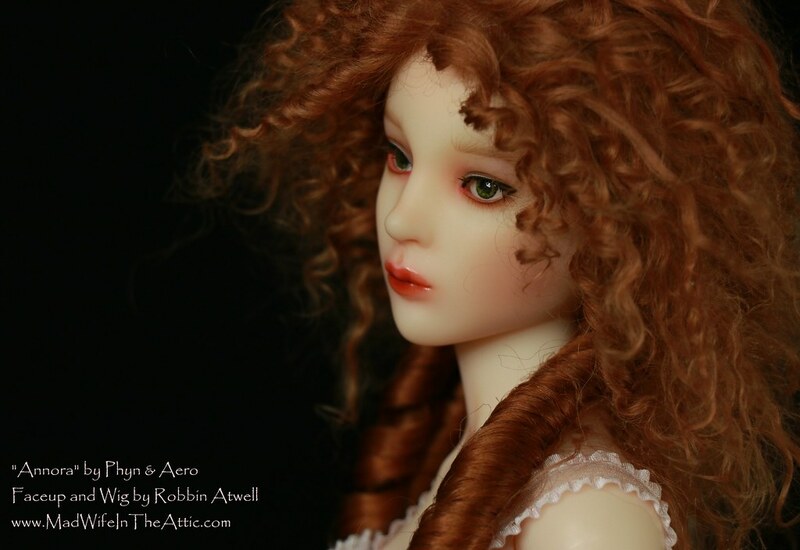 It’s filed under Ball Jointed Dolls, Doll Wigs, Tutorial and tagged ABJD, Ball Jointed Doll, BJD, Crafts, Diane Keeler, Dolls, Gainsborough, Hard Cap, Hedgehog, How to, Mohair, Robbin Atwell, Tutorial, Wig. Bookmark the permalink. Follow any comments here with the RSS feed for this post.